To start 2019 right, I'm offering a limited number of free strategy calls with clients to help them get clear on what their next action steps should be. *The average ROI was based on average coaches that don't teach tools and implementation strategies, but just general advice and accountability. The fact that we'll also be discussing advanced life hacks and tips you never knew is invaluable. Martin Bentsen, founder of Bentsen Breakthrough Consulting, has spoken numerous times at New York University, has run educational seminars at Actor's Connection on branding and marketing strategies for performers, and has written a 60 page informational book called Get Cast™, focusing on marketing tactics actors can use to find more consistent work. He is a member of both the National Association of Sales Professionals and Sales & Marketing Executives International, two highly acclaimed marketing organizations in the United States. 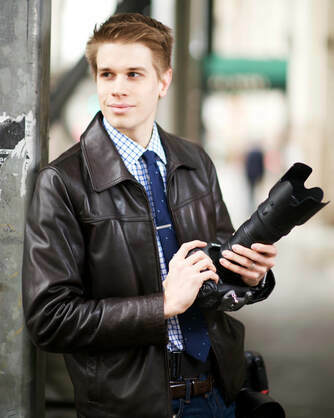 Martin graduated in 2011 with honors from NYU's Tisch School of the Arts' Film and Television program with a focus on directing and in 2010, he founded City Headshots®, which, according to Yelp, is ranked the top headshot studio in the United States. City Headshots currently employs seven people and has locations in New York, Denver, and Philadelphia. Some of City Headshots’ repeat clients include well known companies such as LinkedIn Corp, Facebook, American Express, and many of its photos have been featured in The New York Times and The Wall Street Journal. 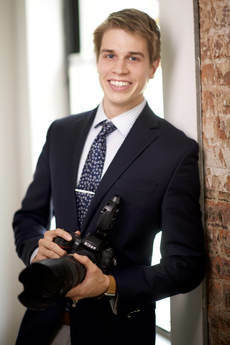 As a business owner who has grown a photography business from zero to half a million dollars per year, Martin not only understands the intricacies of marketing and finding clients, but also what it takes for clients to successfully navigate the marketing world and make themselves memorable. He coaches small business owners one-on-one with their branding, marketing, and operational strategies, and in how they conduct themselves with actual clients. Martin’s long term goal is to run major business seminars across the country while expanding his City Headshots brand to go international. Questions, comments, or concerns? Please email info@martinbentsen.com.